Wraps are increasing in popularity with more people wanting to eat less bread. This combination of smoky BBQ chicken with the creamy texture of the mayonnaise will please anyone. Combine the chicken with the KNORR American Chipotle BBQ Sauce GFand KNORR Chinese Honey Soy Sauce GF. Bake in a preheated oven at 160 degree Celsiusfor 25 minutes, remove and allow to cool. Combine the slaw ingredients together and set aside for use. Cook the bacon until golden then drain. 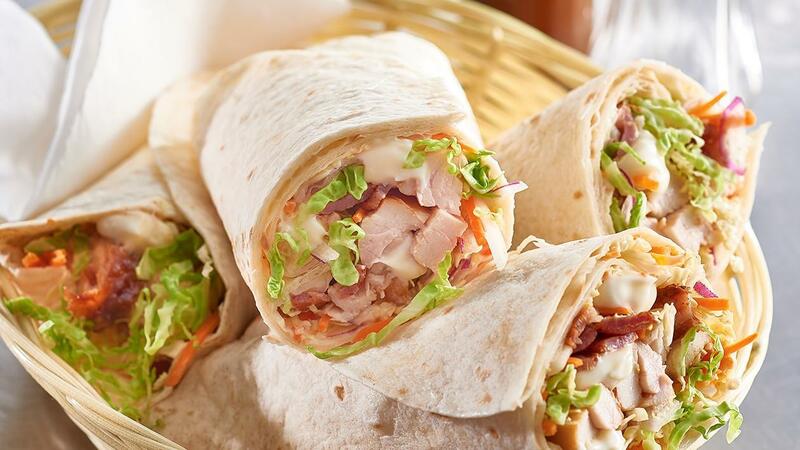 Fill the wraps with chicken, bacon and slaw. Roll up to enclose and serve. Lay the bacon on a flat tray and grill to give it a better crispy texture.